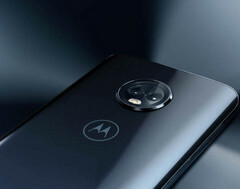 The Moto G6 lineup is now official and consists of the 3 handsets mentioned by multiple leaks and rumors in the last few months: the Moto G6, Moto G6 Play, and the Moto G6 Plus. The new Moto smartphones come with Oreo out of the box, Qualcomm Snapdragon processors, as well as multiple AI features. Just as expected, the Moto G6 lineup is now official and is already available in Brazil. Mexico is scheduled to follow next week, while Europe, Asia Pacific, and Latin America should receive these new handsets in the coming weeks. The Moto G6 family consists of the 3 devices that surfaced online quite a few times recently: the Moto G6, Moto G6 Plus, and the Moto G6 Play. The Moto G6 has a starting MSRP of US$249 USD, the Moto G6 Plus can be acquired for around US$367, and the Moto G6 Play is the cheapest of the family with a starting price of US$199. We will know more about the variants available in various areas and their prices in the weeks to come. The Moto G6 and the Moto G6 Play will both reach North America, but it seems that the Moto G6 Plus will not get to the US — or at least not using this name.